When it’s raining in Kyoto, it’s also very humid, so it can be pretty depressing. 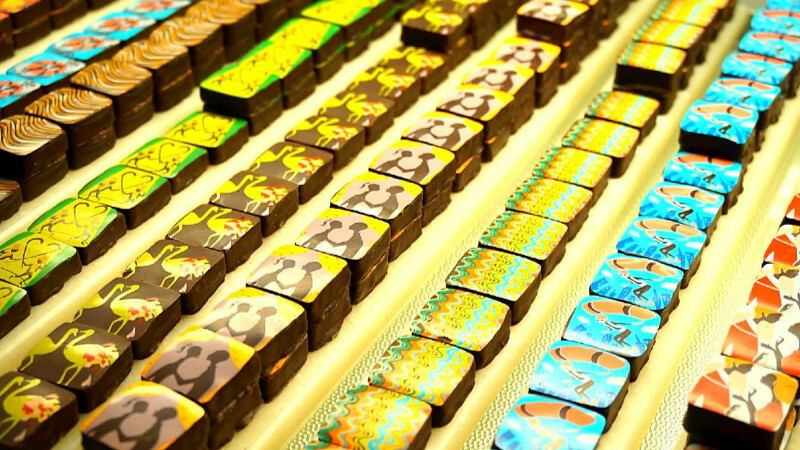 But these colorful sweets and drinks are going to make you feel happy again! What’s the vibe? The atmosphere is relaxed and there is also an inner garden. The café becomes a bar from 6 pm. onward. 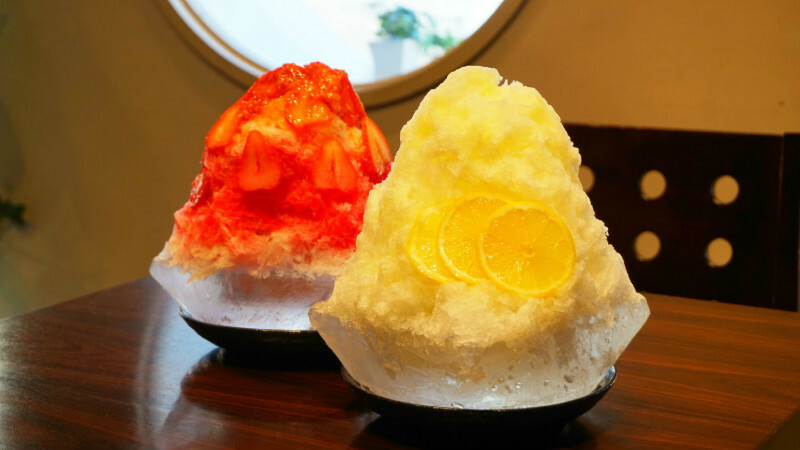 What to eat Kakigori (shaved ice) made with freshly squeezed juice. What’s the vibe? 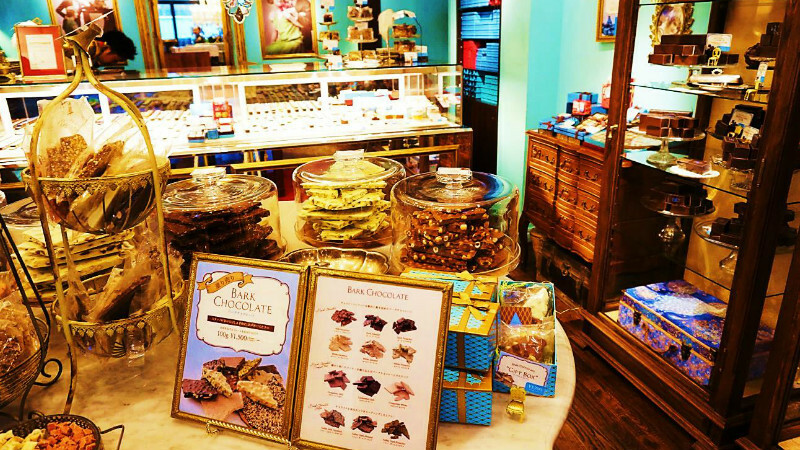 The interior of the café is colorful; it feels fun, almost as if you had come to an amusement park. 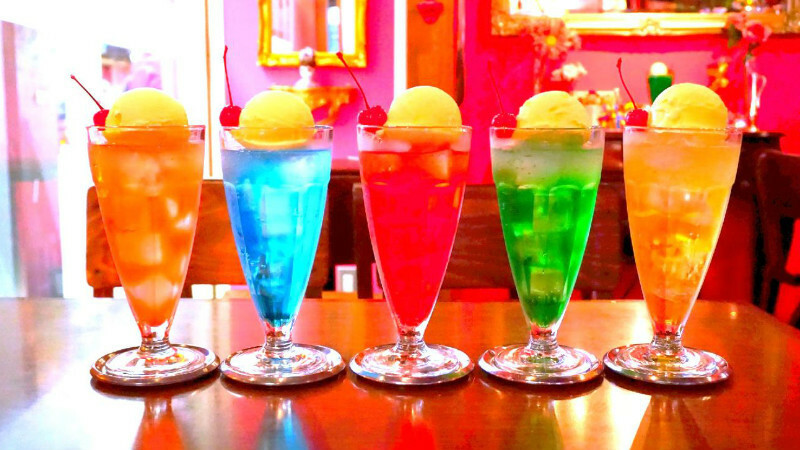 What to eat Colorful “cream soda” with 24 flavor variations. How much? All ￥690. The smaller “baby size” is ￥600. What’s the vibe? There’s something nostalgic and retro about the atmosphere. Where Close to Yasui Konpiragu Shrine. 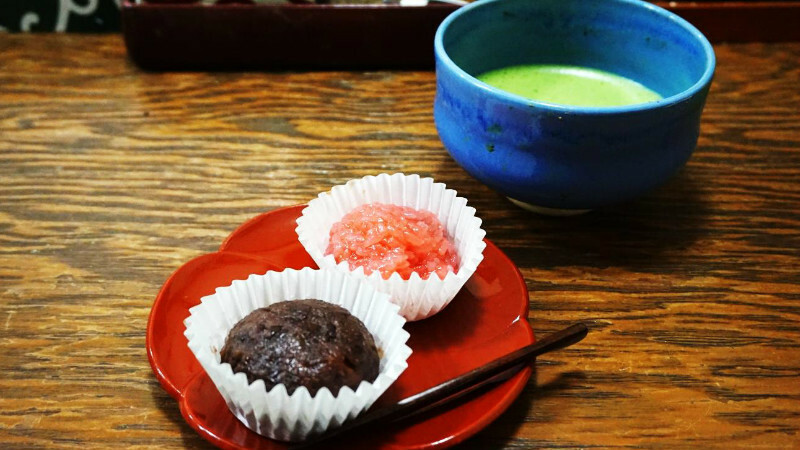 What to eat Ohagi-sweets handmade by a grandmother. How much? ￥150 per piece. Those made with white adzuki beans are ￥180. What’s the vibe? 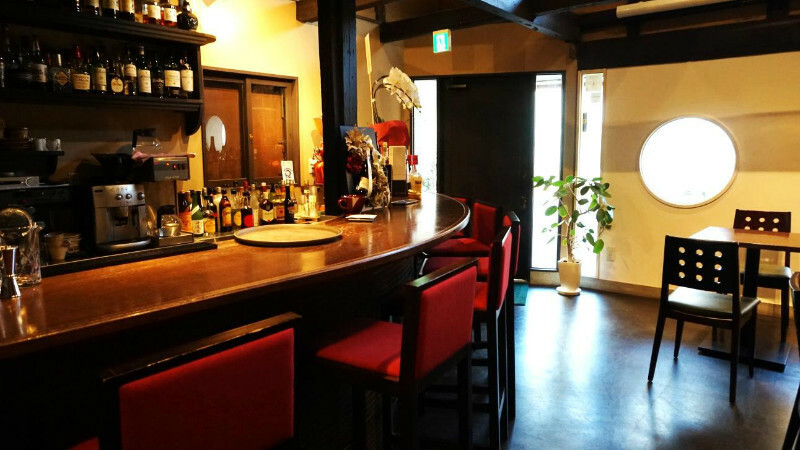 Outside the shop is a Kyoto-style machiya townhouse, inside it has a blue color scheme in European style and the atmosphere is chic. What to eat It’s fun just looking at the colorful chocolates. How much? On average around ￥2,000. 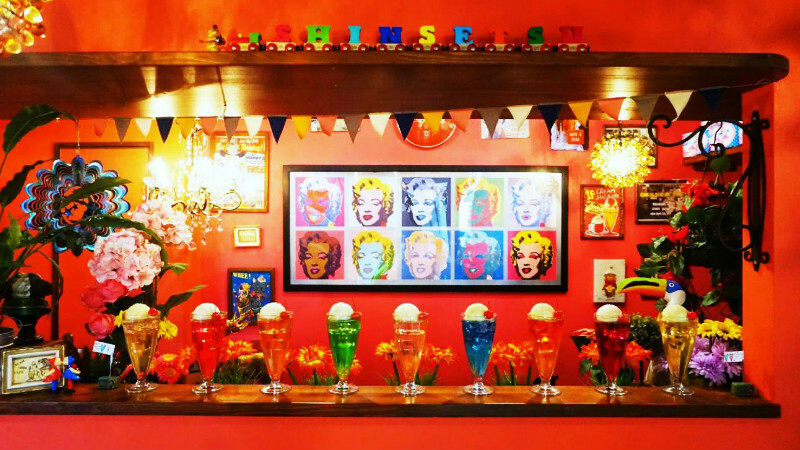 Many of these drinks and sweets were so vividly colorful they made my heart flutter! 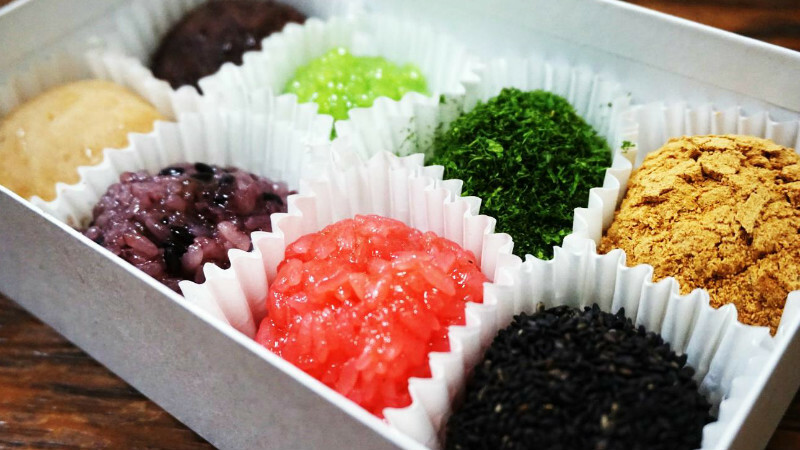 It may be humid in Kyoto during the rainy season, and this may make you feel a bit let down, but these colorful sweets and drinks are sure to brighten your day!